In Utah, we are made up of a large group of Mormons, that often control a lot of the ongoing issues within the Salt Lake region. In Huffington Post– they say In 2014 (the year the most recent data is available), the % Mormon in a U.S. state is associated with a higher level of youth suicides in that state. This relationship holds even after statistically controlling for other potential causal factors of suicide such as elevation (altitude), rates of gun ownership, rates of serious mental illness, rural vs. urban, state spending on mental health, and a variety of demographic and socioeconomic factors. None of these factors are associated with an increase in levels of youth suicides in a state between 2009 and 2014 except for % Mormon in a state. Further analysis finds that this relationship is due solely to the increase in youth suicides in Utah, Idaho, and Wyoming – the three states with the largest Mormon population in the country. They also say that people within the LGBTQ+ community have a higher percentage of suicide rates, due to the fact that they feel unwelcomed, and not equal to others. 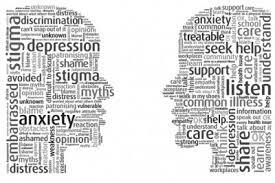 The topic of mental health is a very controversial topic, and it is becoming more and more commonly talked about today. The price of happiness is worth it. The Price of Happiness by Caleigh is licensed under a Creative Commons Attribution-ShareAlike 4.0 International License. ( http://religionnews.com/2016/03/12/study-shows-link-teen-suicide-mormon-populations/ ) was very interesting to me and it showed how the high mormon population can have an effect on mental illness and suicide. I myself have had some very close personal experience with observing an individual who was raised in a strict LDS family who eventually committed suicide and I’ve seen how a lot of outsiders have blamed it on the religion itself. I see how this could come across as offensive towards the LDS religion however, I do believe there is a direct effect, especially with the views held in the religion itself towards LGBTQ individuals. This topic really interests me and I hope to find out more about how this linkage is represented. This was a very eye-opening post Caleigh. I think you discussed a topic that most of society is too scared to address, and I am very impressed with the manner in which you did this. I think you gave a lot of accurate information that was backed up by statistics and resources. However, I wish you would elaborate or explain more on the statistics. While numbers give you proof of what your arguing they can sometimes be hard to comprehend and your article would be stronger if your reader completely understood the message you were trying to convey. I think the quote “they say In 2014 (the year the most recent data is available), the % Mormon in a U.S. state is associated with a higher level of youth suicides in that state” is very interesting. While I think it’s a good point I think you should maybe restate it in a way that would not come across as offensive to those in the LDS community. While it is a good point that backs up your argument, just remember the different people making up your audience. I think if you wrote about how we can address this as a society and the solutions to this increasing problem your reader would feel more compelled to share your article and its solutions. I am very intrigued to see what you write next on this topic, and if you address how you personally think we will address this. I suggest looking at this article. It might give you some ideas to elaborate on! I found this information on Utah Department of Health. The website is linked above.